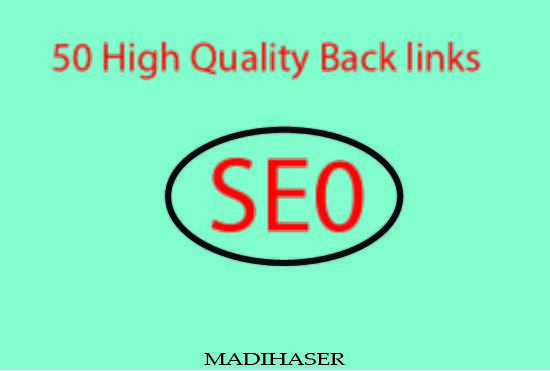 1.We will provide you 50 Backlinks all with extremely metrics. 2.50 Blog with high 35+70 page authority and domain authority 25 to 80. 3.Unique and high quality contents. 4.100% Manual work no software or rebort use. 5.100% Safe Google Panda and Penguine. 7.100% Indexing of all the links.Ranking guaranteed in 3 to 4 weeks. Sky up your website with my Manual 50 Backlink in High PA/DA Aged Website is ranked 5 out of 5. Based on 4 user reviews.